At long last we can finally reveal to you all the new idea for Outbreak: Condemned. With this new story and setting we will show a whole new side to the evil of the Umbrella Corporation and their activities in other parts of the world. In this update we have a brand new logo, a teaser trailer and a Question & Answer section. To start off this update I would like to introduce the brand new logo for Outbreak: Condemned, designed by a friend and very talented graphic designer Brian Hickey the owner of Emagine Media Ltd. It's taken a while but it's finally here, the first look at the new Outbreak: Condemned to wet your appetite and give you a small glimpse into the reborn project. Our main character is voiced by Ian and Robert voiced the mysterious scientist, Matthew then composed the background track. I have noticed some issues such as stuttering on the footage in some parts, this is due to me capturing the raw footage at 1080p. I hope you all like this new concept. In this section I would like to answer some questions that many of you might ask me about the new project. If you have any other questions please post a message and I will try to answer it as best I can. Q: Who is still on Team Outbreak? A: I am happy to report that even though old members are moving onto different engines they are still supportive and are going to be lending a hand when they can. As you can see many of the old faces from the old project is back, some of our members such as Cris and Scott can only help out in their own time between other projects but it’s great they were willing to still help out with Outbreak. Q: How often are you going to be working on this? Indie development and some paid jobs. 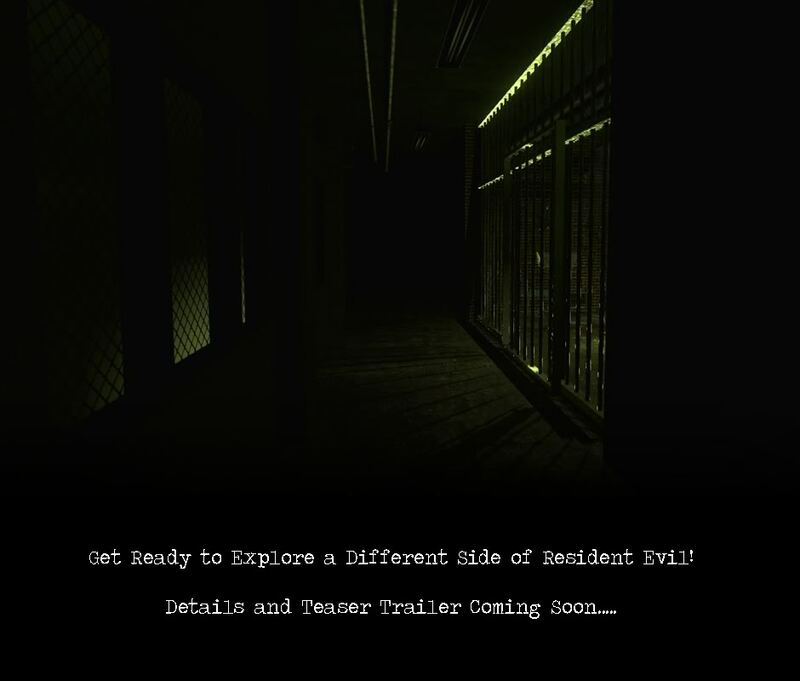 Q: Is this the old Outbreak Condemned revived or is this a new project all together? A: This is a complete reboot of Outbreak: Condemned, brand new characters, story and location. Q: Why did you revive the game? A: I brought it back because of my love for the project and the reaction of disappointed fans after the project died. I was a bit hasty in calling it dead, it was a dry spot that every mod has now and again. Q: Is it still set in Raccoon City? Q: Why isn’t it set in Raccoon City? A: Capcom have already covered most of Raccoon City, a new location allows us more creative freedom, even after the first ten minutes of script writing I felt I had much more freedom to do what I wanted with the environment. But don’t worry I am going to be using familiar areas and even some un-released areas from Resident Evil Betas! Q: When does this take place during the Resi timeline? A: The story in Outbreak: Condemned will take place after the Raccoon City disaster in a secret lower class Umbrella facility. Q: How much play time will the mod give? developed and more content is generated. Q: How close to the Resi Canon will you be staying? A: Sticking to the canon as much as possible but taking it all to a new location. The mod will allow you to explore what is happening at other parts of Umbrella’s empire. Q: What monsters are we going to see? A: There will be a mixture of new and classic enemies, including the much loved zombies. I would like to introduce some brand new creations from our team. Q: Is this a total conversion? A: Yes this will be a total conversion mod, but I will not be afraid to use HL2 content as the team is small. All the main items will be custom. Q: What weapons will you be using? A: Just like last time, we will be using a classic arsenal of Resi weapons – Example being Melee weapon, hand gun and shotgun. Q: Will it have a Coop or any multiplayer? A: No, Outbreak has always been intended as a single player experience. Q: Is the mod here to stay this time? A: Yes it is! Whenever I have spare time I will continue working on this project and hopefully one day I can release it. Due to my lack of time and now much smaller team I would like to shout out to artists who have experience with Source. Have you made props such as Trash bins, Trollys, Power box’s, pipes, cords, lights, stools, lockers, random litter, monitors, computers, terminals, gates, doors and any other type of prop compiled in Source? Would you be willing to donate to Outbreak: Condemned? If you would like to donate some props to the project then please message me here on moddb and we will have a chat. If you donate your work to Outbreak: Condemned full credit will be given to you and your name will be in the credits inside the mod itself. In the future I might even be able to reward you in a even better way! So there it is everyone, I would love to hear your feedback on this new concept for Outbreak, post ideas and thoughts and if you liked it please watch this mod page. More news, screenshots and story information will come when it’s ready. Reminds me of Lisa Trevor. Guys I am just busy working on my other project which is also a Resident Evil based map for No More Room in Hell. You Said you were fine and now? If this mod is dead, then please upload what you have so someone like myself could carry the torch. As a resident evil fan and a sourcemodder, I hate seeing all this good work go to waste. Is this mod dead? I'm just wondering because I haven't seen anything on it in a while.... I really hope it isn't I was really looking forward to playing it.